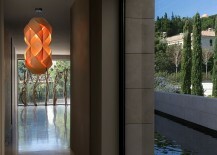 Good lighting is indispensable to any interior and yet it is frequently underrated, even dismissed. The human need for comfort, warmth, sanctuary and security will not be addressed by the ineffective nature of poorly chosen lighting. 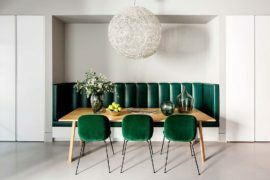 When hanging a pendant light in a room, it is important to consider its purpose – for example to light the entire space or simply create a warm ambience. 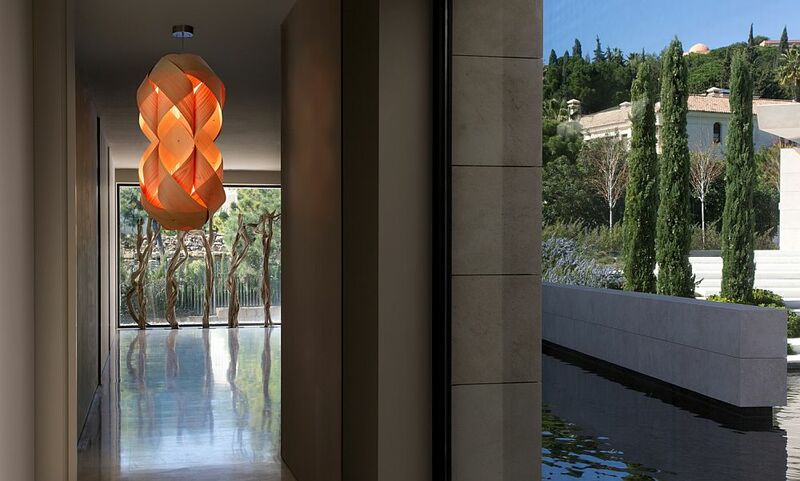 A pendant’s character and design, its materials and heritage, the feeling it imparts and its placement are important characteristics that we should consider when choosing a light. Dividing wooden pendants into simple and sculptural, we are able to view the breadth and diversity of this lighting genre. 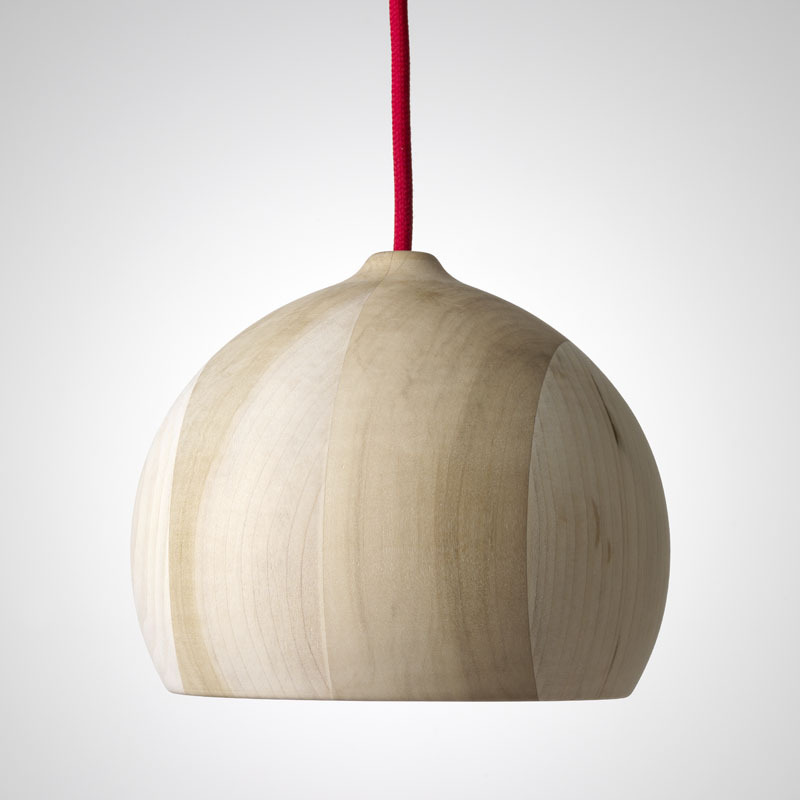 A wooden pendant will immediately furnish a room with its natural warmth. 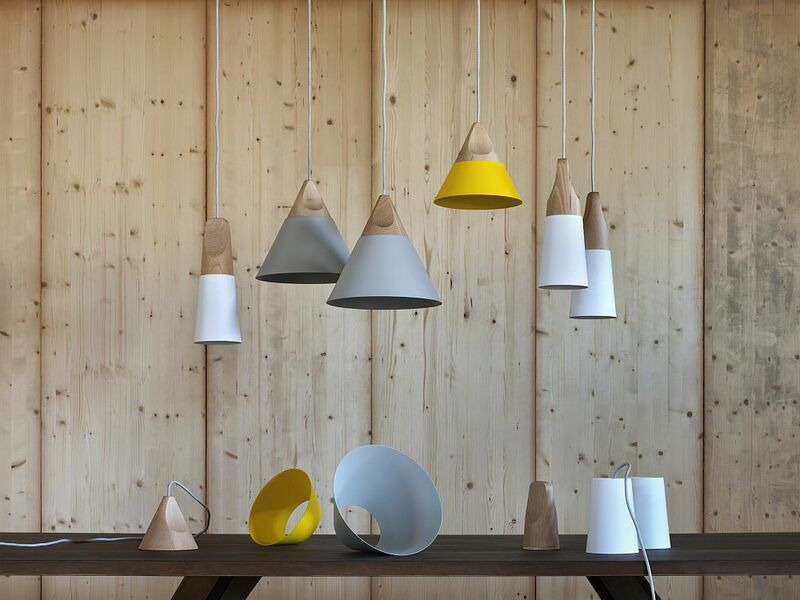 In designs made using wood we often find years of time-honoured craftsmanship, where objects are imbued with integrity and simplicity, their form perhaps traditional or assuming a modern aesthetic. 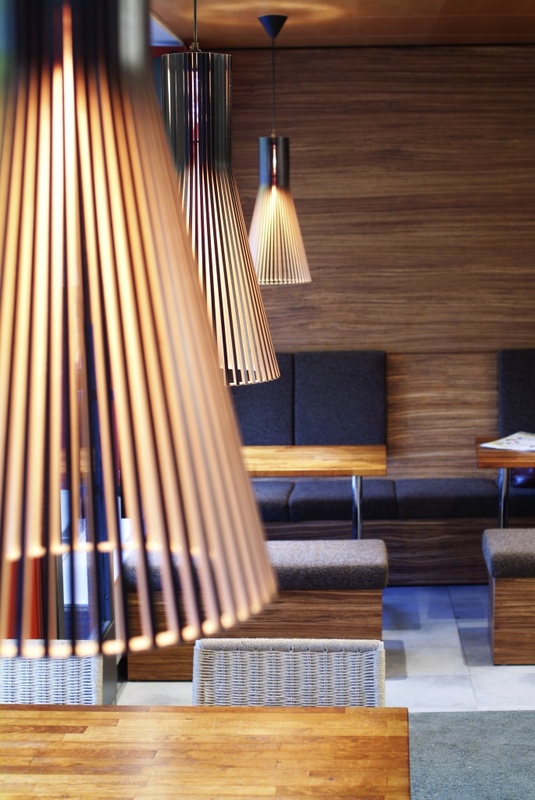 At its best, wooden design is pared back and understated, tactile and pure, having little fuss or embellishment. 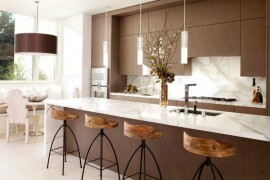 Wood provides a level of balance that is lacking in much of today’s consume and throwaway society. 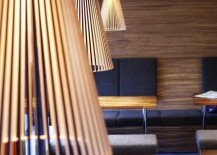 With wood we find urbanity and homeliness, vitality and quietude, longevity and sustainability. 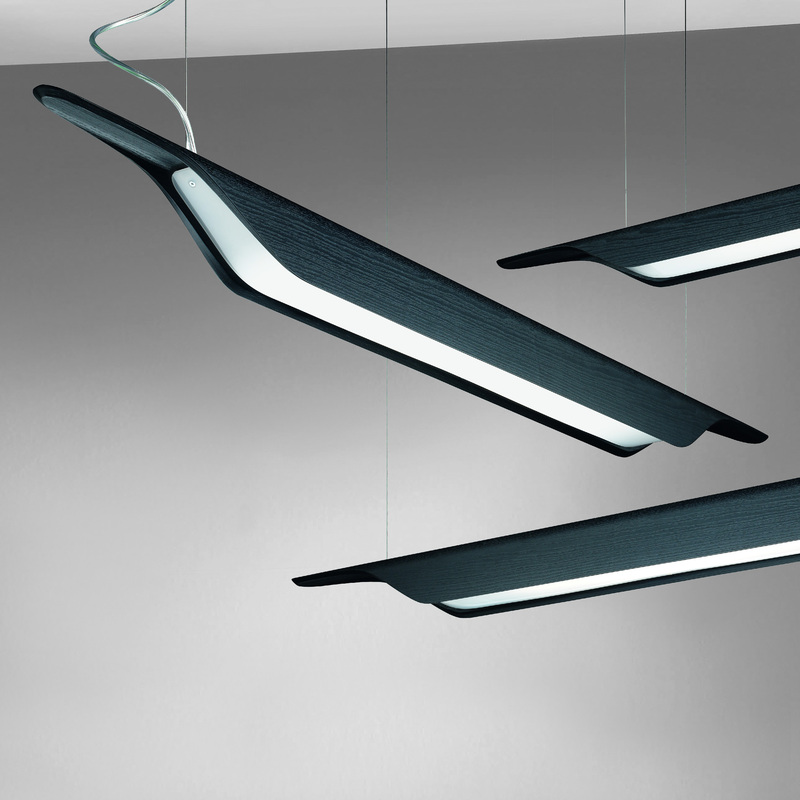 Simple only in terms of their effortless appearance and elegance, these wooden pendants are nonetheless complex in their design. 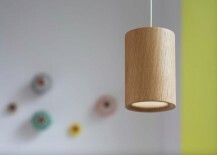 Terence Woodgate Solid Cylinder Pendant Light in natural oak. 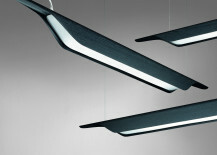 Flux Light by Tom Raffield. 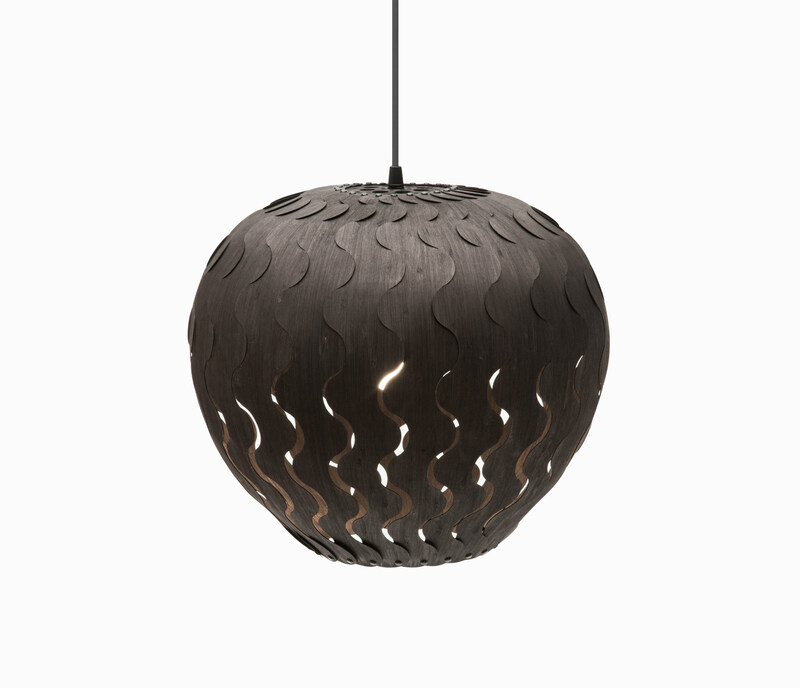 Image © Tom Raffield Ltd.
Belle (small) in black stained bamboo plywood by David Trubridge. 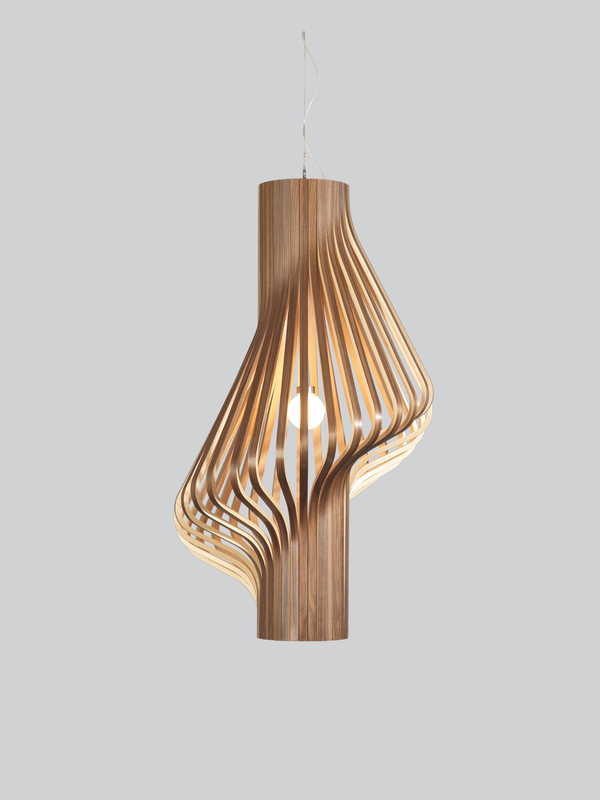 Image © David Trubridge Ltd.
Funk 40/40P in satin walnut veneer by dreizehngrad. 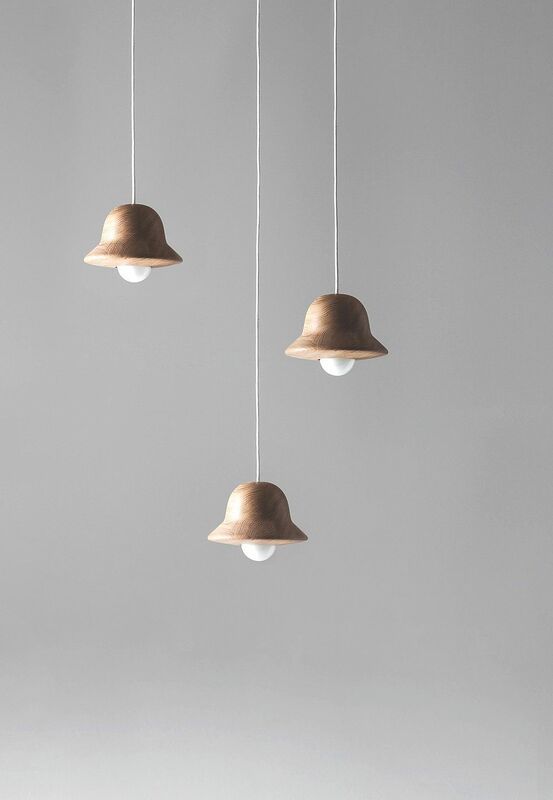 Ginger by Joan Gasper for Marset. 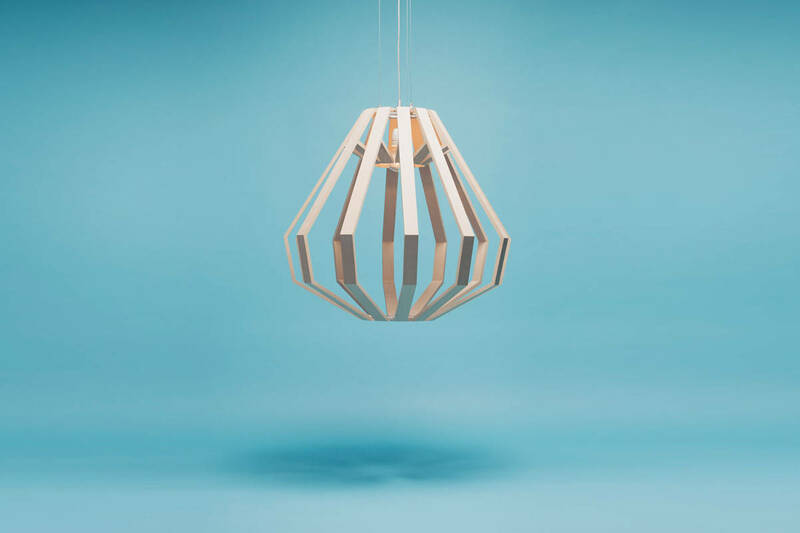 Image © 2015 Marset Iluminación S.A.
Babula S7 pendant in oak by Krools. 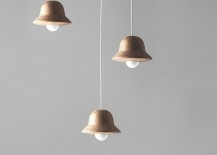 Hat Lamp by Norm Architects for ex.t. Secto 4200 at Cafe Picnic, Helsinki, Finland. 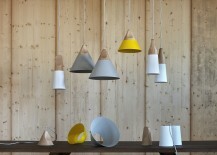 Photo by Lasse Keltto via Secto Design. Image © 2015 Secto Design Oy. 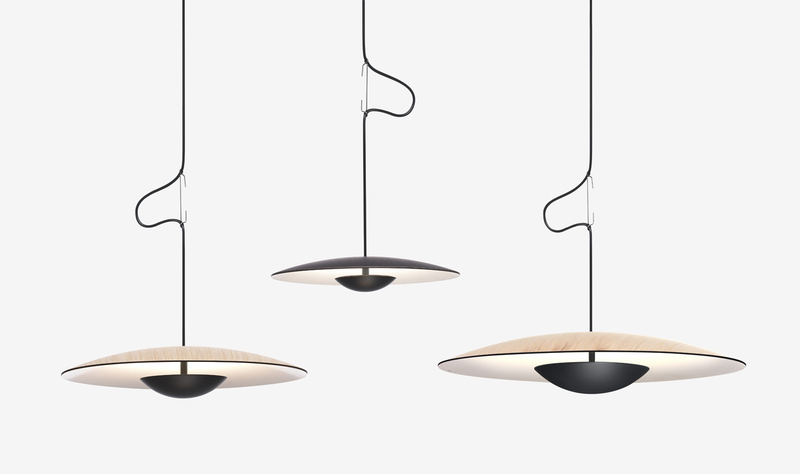 Slope by Skrivo Design for Miniforms has a solid wood body with a metal shade. 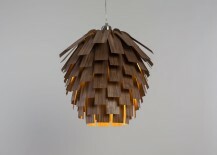 Acorn in tulipwood designed by Tom Housden for Hand&Eye Studio. Wooden pendants – as with many wooden products – can be appreciated for their craft, soul, honesty and luxury. 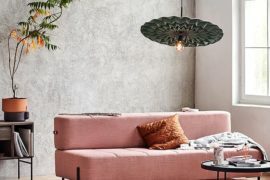 Perfectly suited to a culture of slow living, wood has the ability to connect with individuals at an emotional level. 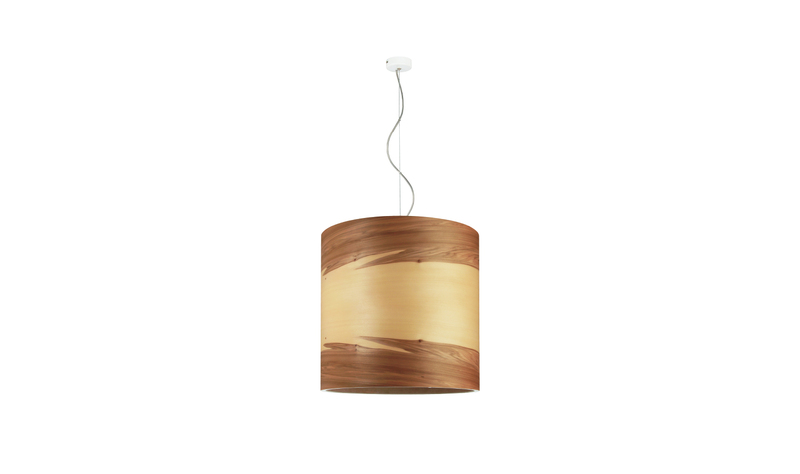 A wooden pendant will spread a warm and homey illumination throughout a space, providing light to be enjoyed and embraced year-round. 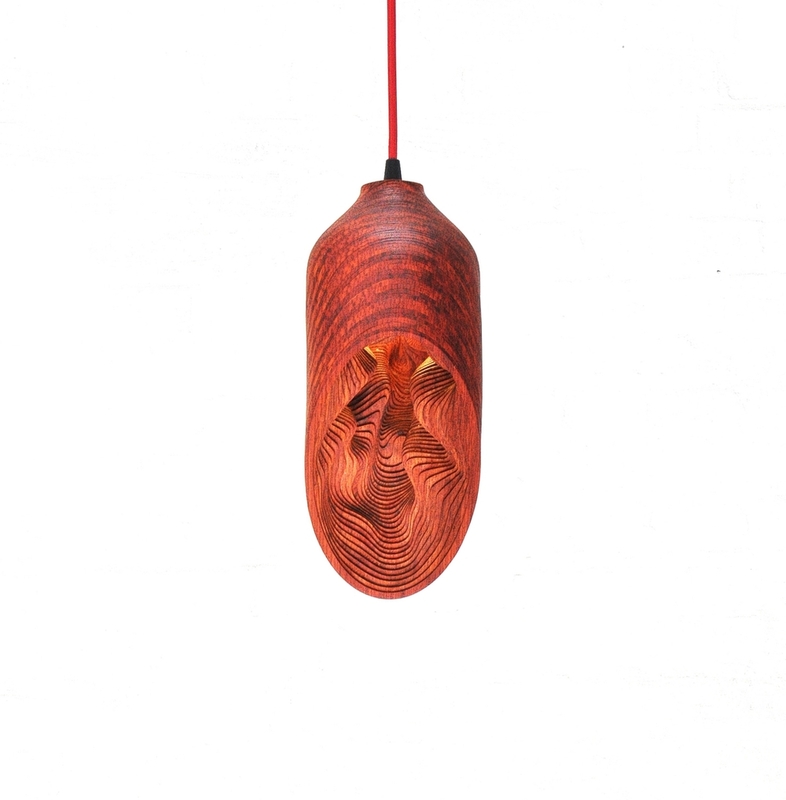 Intricate, detailed and creative, these sculptural wooden pendants appear as artistic works. 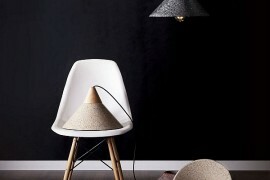 Bau by Vibeke Fonnesberg Schmidt for Normann Copenhagen. 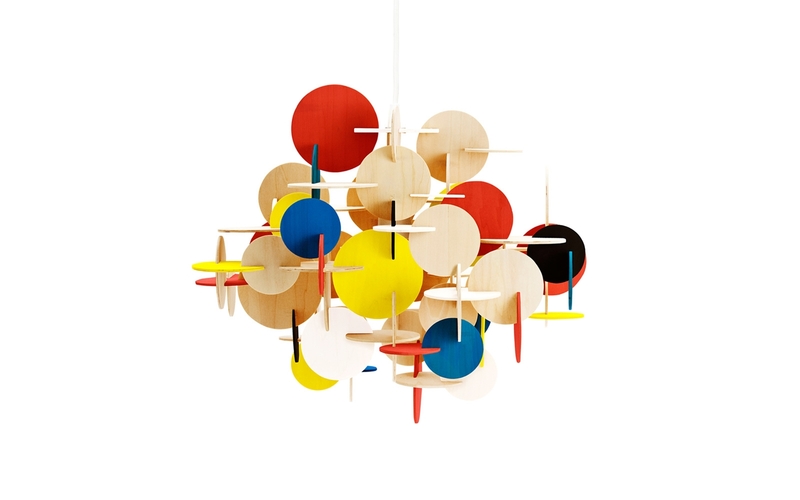 Image © 2015 Normann Copenhagen. 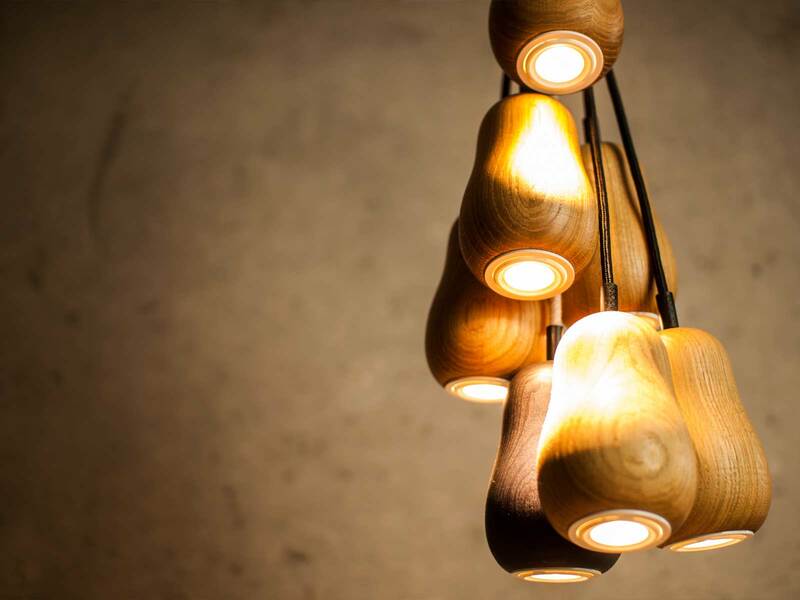 Scots Light in walnut by Tom Raffield. 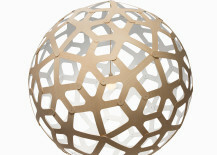 Coral (with white on one side) by David Trubridge. 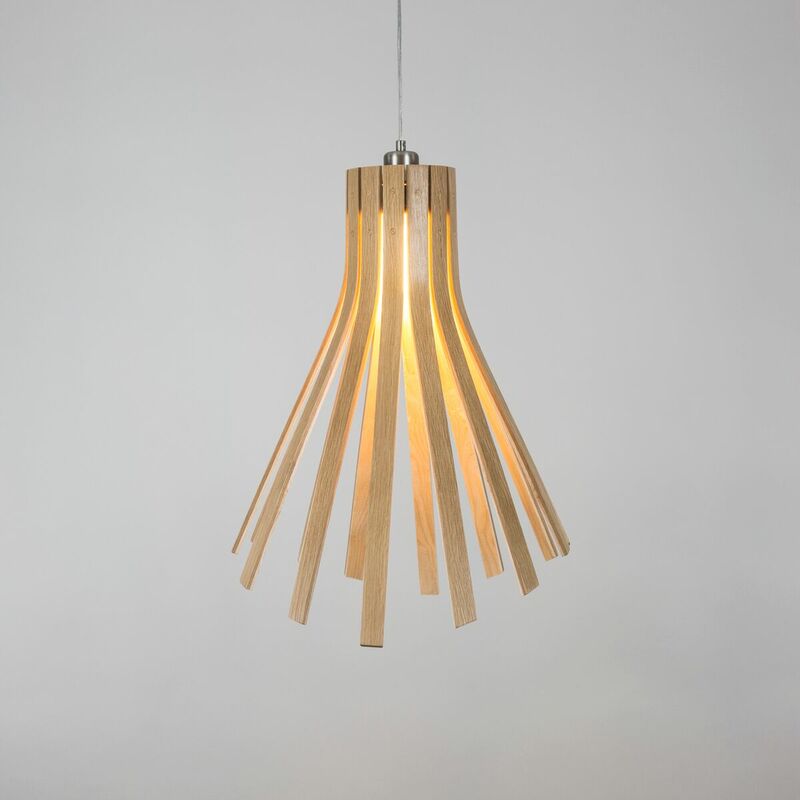 Made using bamboo plywood, Coral is available in six sizes, from 400mm to 1600mm (shown). 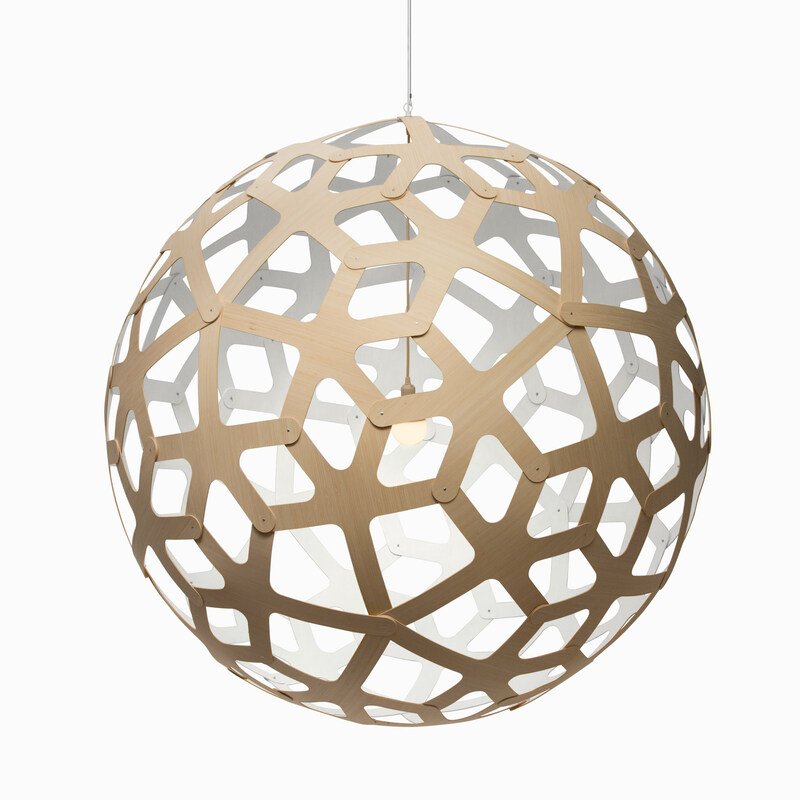 BEL light (in sanded padouk wood) by LMBRJK is handcrafted and laser cut. 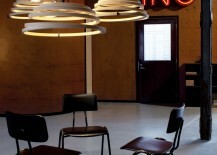 Aspiro 8000 at a workshop in Helsinki, Finland. 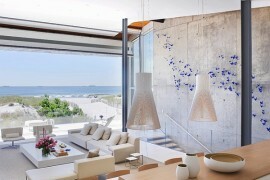 Photo by Uzi Varon via Secto Design. Image © 2015 Secto Design Oy. Apollo 8 Command Module in beech by Gaël Wuithier. 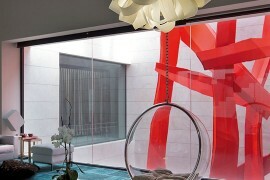 Anfora designed for LZF by Miguel Herranz. 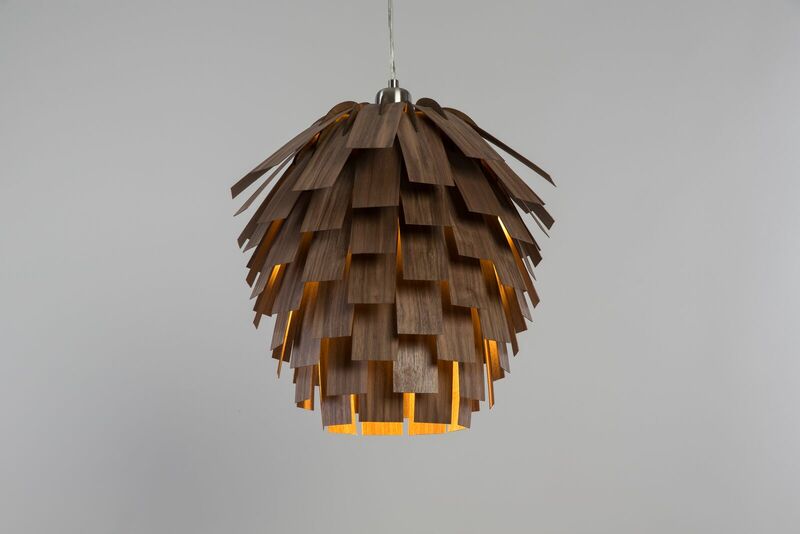 Diva pendant in walnut designed by Peter Natedal & Thomas Kalvatn Egset for Northern Lighting. 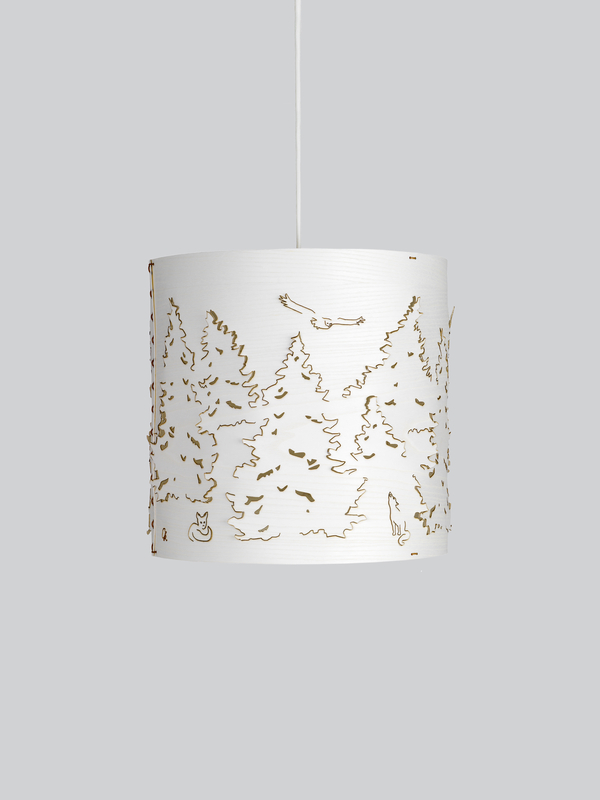 Image © Northern Lighting AS. 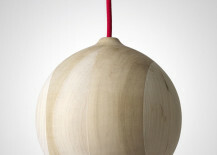 Norwegian Forest pendant (small) in white ash. 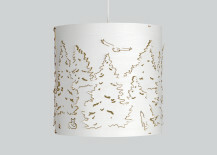 Designed by Cathrine Kullberg for Northern Lighting, it incorporates a laser cut depiction of a pine forest with animals. 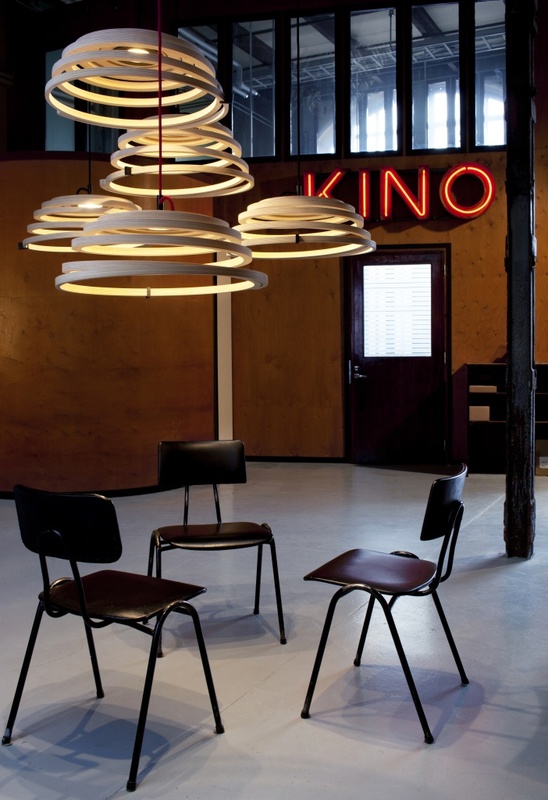 Troag suspension in curved plywood and PMMA designed by Luca Nichetto for Foscarini.